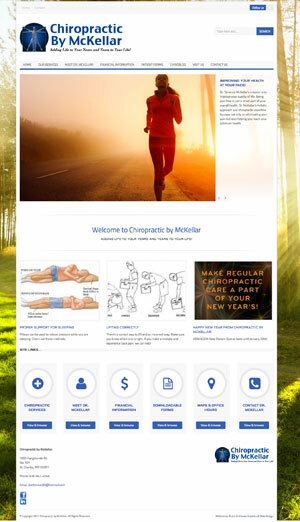 Blue’s ArtHouse proudly unveils our newest website for Chiropractic by McKellar. Dr. McKellar is a fantastic chiropractor operating in St. Charles, Missouri and all around really nice guy. We’ve enjoyed working with him. Give him a call if you need any adjustments!